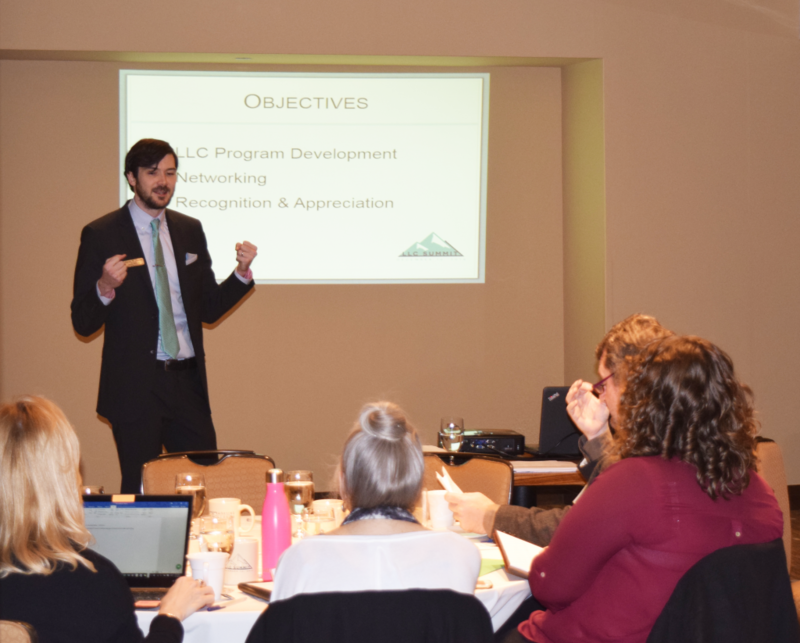 Aaron Voyles (Housing and Food Service) welcomes Division staff and campus partners to the Living Learning Communities Summit. Residence Life staff in Housing and Food Service hosted the Living Learning Community Summit on Dec. 16 at the AT&T Hotel and Conference Center. Aaron Voyles, Housing and Food Service, welcomed the group and led the discussion. The steering committee includes partners from across campus who will help oversee five communities opening this fall. The Center for Students in Recovery is a partner on the Healthy Lifestyles community in Moore-Hill Residence Hall. See the photos. Sierra Castedo, The Center for Students in Recovery (CSR), participated on a panel at a screening of documentary “Generation Found on Capitol Hill” on Dec. 19. The film is about people in recovery and programs like CSR. 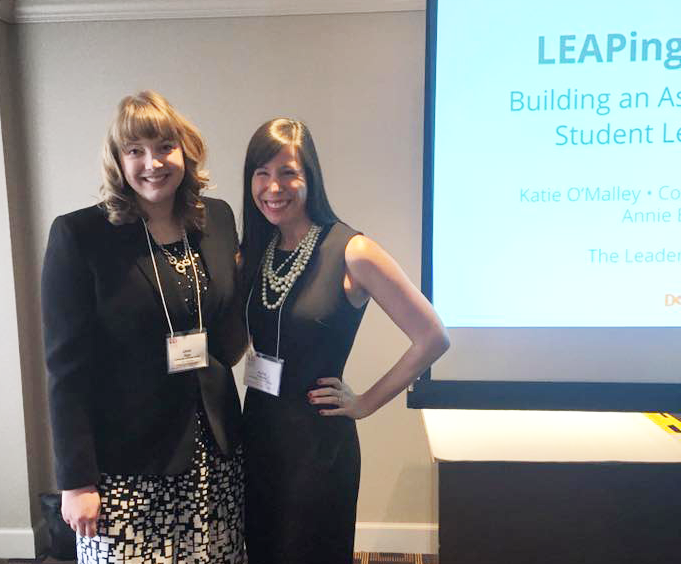 Katie O’Malley, Office of the Dean of Students, presented “LEAPing into Assessment” at NASPA’s 2016 Leadership Educators Institute.